Thousands of people have been displaced and vast swathes of farmlands have been destroyed by the floods in central and southern Nigeria, says the BBC's Is'haq Khalid in the capital, Abuja. 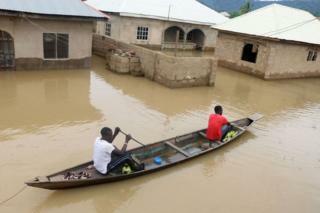 How can Nigerians be protected from annual floods? Are floating homes a solution to floods?